Hi friends! 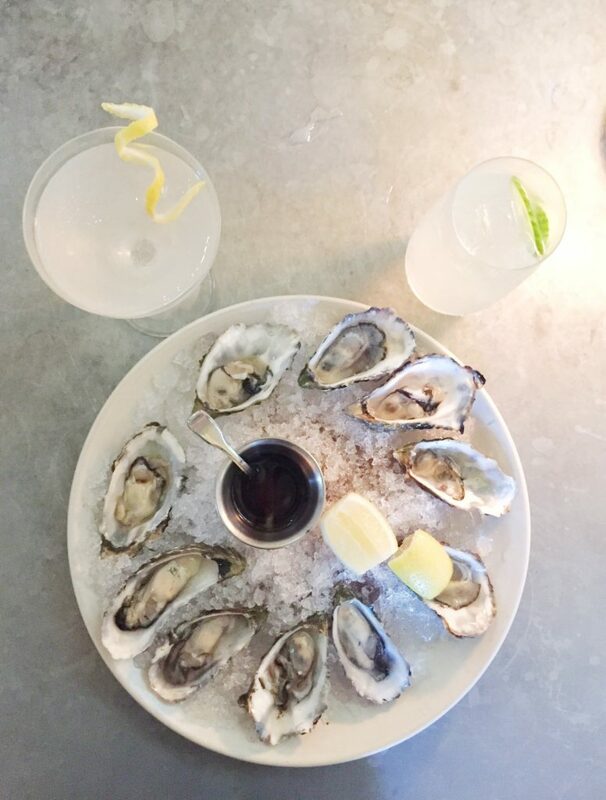 Hope you enjoyed reading my way too long post about San Fran on Mini Moon in NorCal (Part One). 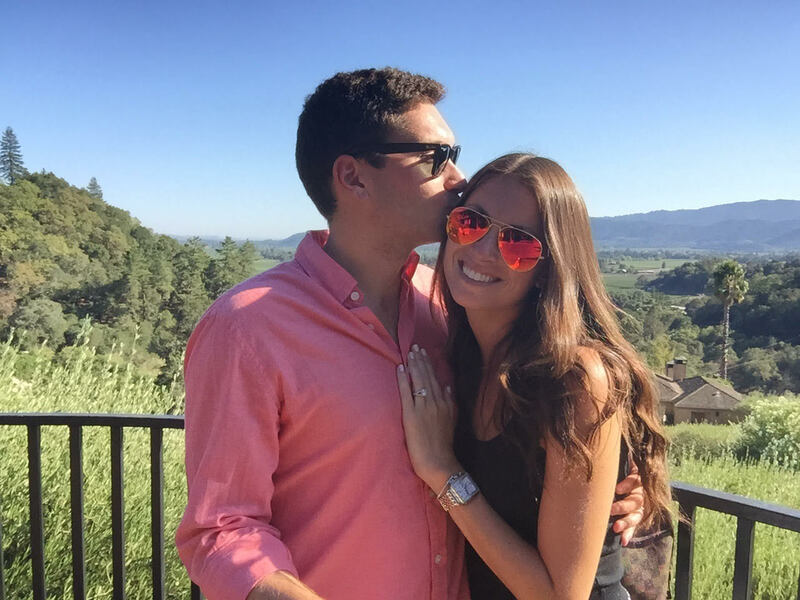 This post is dedicated to our 4 amazing days in Napa. 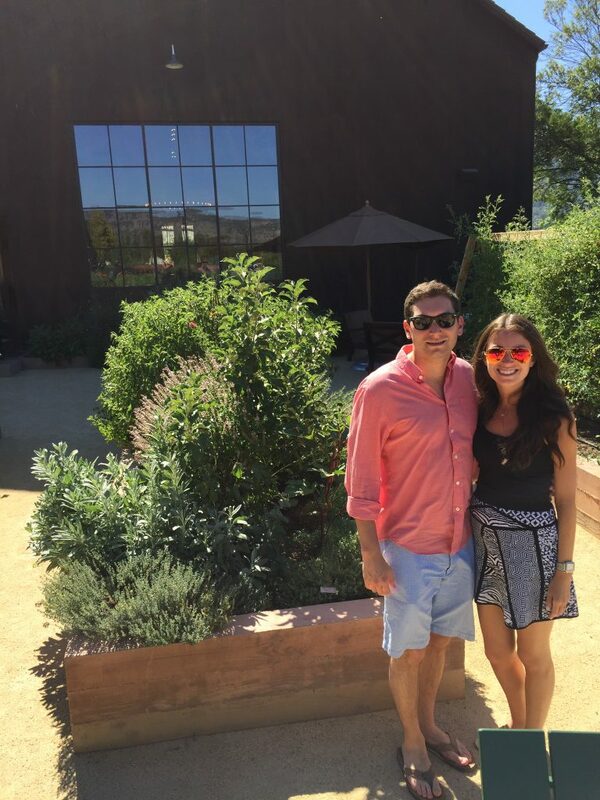 After a ton of research about Napa and where to stay, we decided on Hotel Yountville and we are so happy we did! It was absolutely perfect. We stayed in one of their suites with a porch, a canopy bed, a huge bath tub, a make up vanity and my favorite shower with TWO shower heads (note to self, get a rain shower head when you build a home). 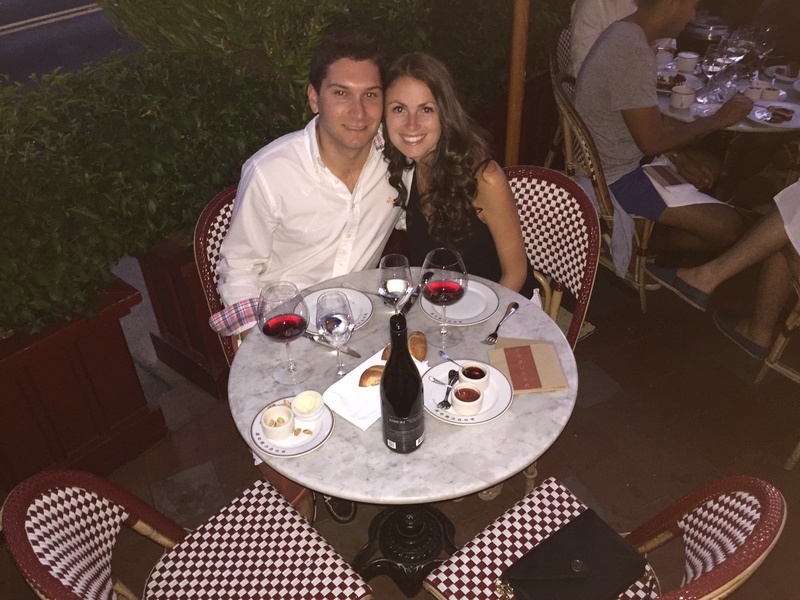 Not only was the hotel perfect, it is in the most perfect town in Napa called Yountville. It is where a ton of the delicious restaurants are and the town is almost too picture perfect to be real. It reminded me of the town in the show Gilmore Girls where everything is pretty and you can walk everywhere and feel safe. Some other food highlights was breakfast. 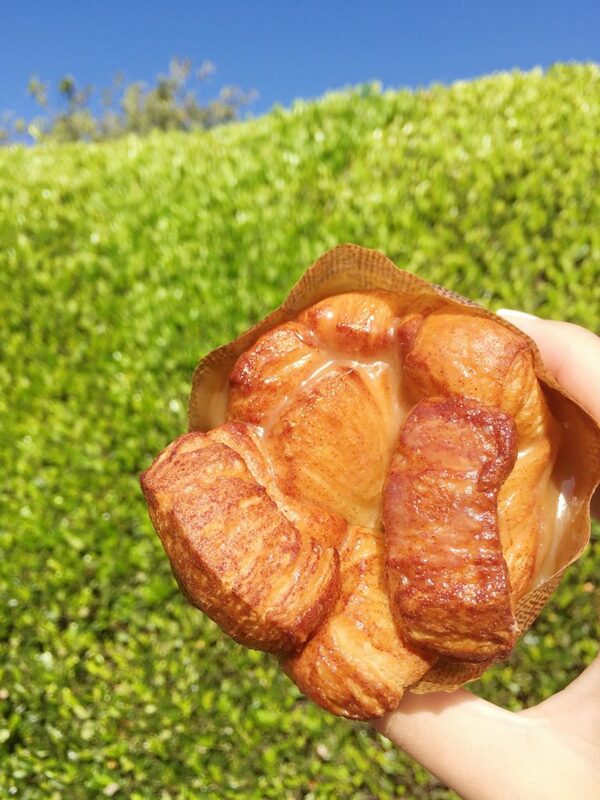 We ate at Bouchon Bakery every morning and tried some of their delicious treats. The line was always out the door and the staff there was beyond sweet. Here is our delicious Monkey Bread we had. The other favorite was a Blueberry Crumb Muffin, Jordan also tried the Bacon Scone and Croissant (two things I do not favor). It was so perfect walking down to Bouchon Bakery then taking a stroll around Yountville. The town is so peaceful and quiet, similar to what I’m used to at my parent’s home but definitely not what I’m used to in Manhattan! 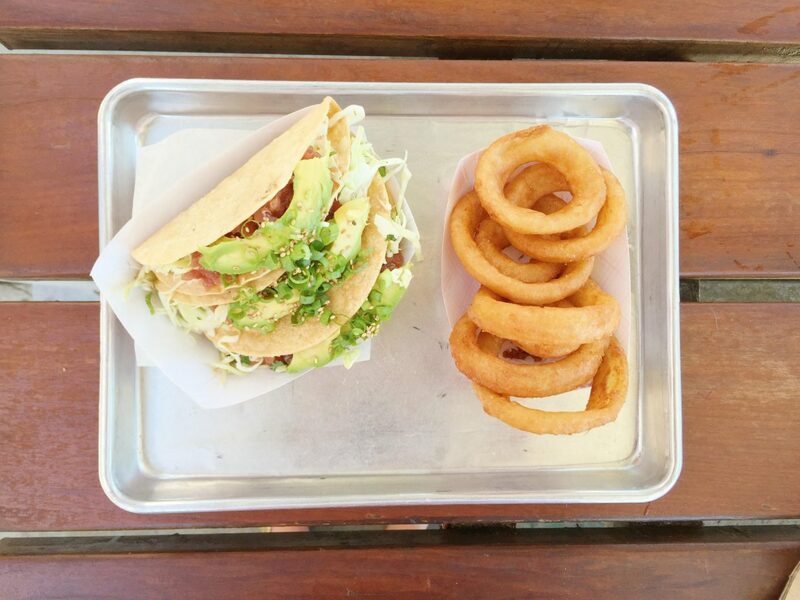 We headed over to Gott’s Roadside in downtown Napa one day to try their infamous ahi tuna tacos that were orgasmic and the most refreshing lunch in Napa’s 104 degree heat. Jord obviously ordered onion rings (my weakness). It is so crazy that Gott’s is considered “fast food” in Napa. I wish all fast food consisted of ahi tuna tacos! Now besides the food the best part about Napa are the wineries. 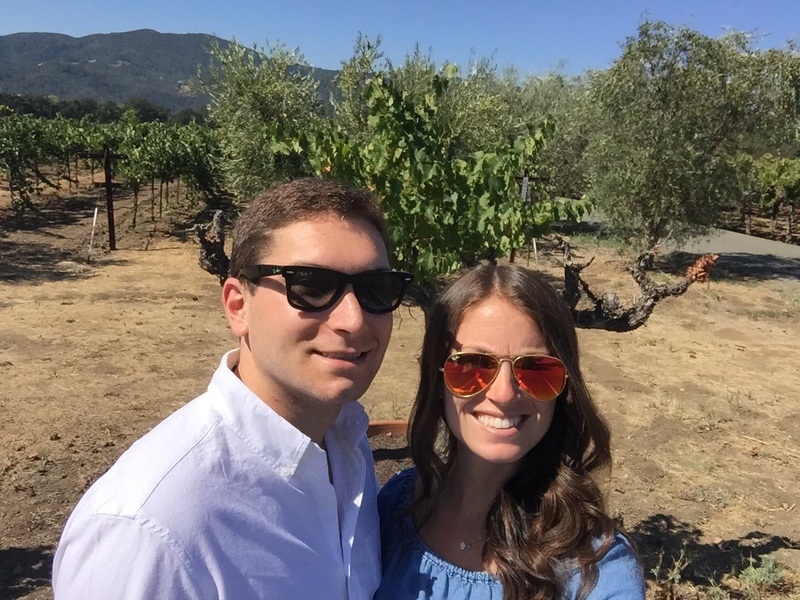 One of my favorite experiences in Napa was our visit to Round Pond. It’s a 168 acre property in Rutherford. 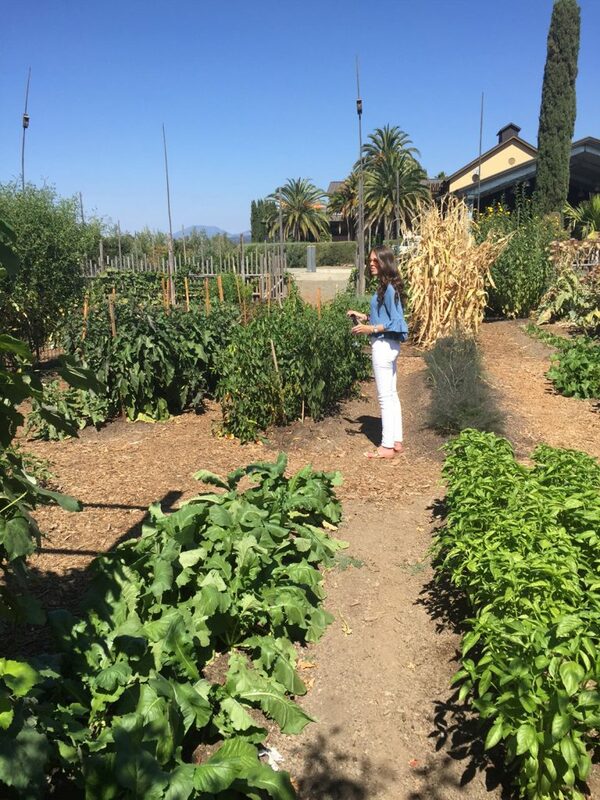 They have an organic garden and we toured the estate while tasting some of their delicious wines. We went there at 11:30am and around 1pm we were seated for olive oil tasting and lunch. We had a homemade vinaigrette on some of the vineyard’s grown greens, burrata and tomato salad, fruit salad and pastrami seasoned salmon on toasted baguettes with hummus (oh em gee). Everything from the food and wine was spectacular. That was one of the pomegranates from Round Pond’s garden. We tried to venture our to as many wineries as possible when we were there. Some of our favorites were Silver Oak, Opus One, Turnbull, Robert Mondavi and Duckhorn. Silver Oak had some of our favorite wine and Opus One’s property in itself was enough to see. It is absolutely breathtaking! Silver Oak was also very generous in their tastings, they gave 4 full glasses of wine to each of us during our time there. 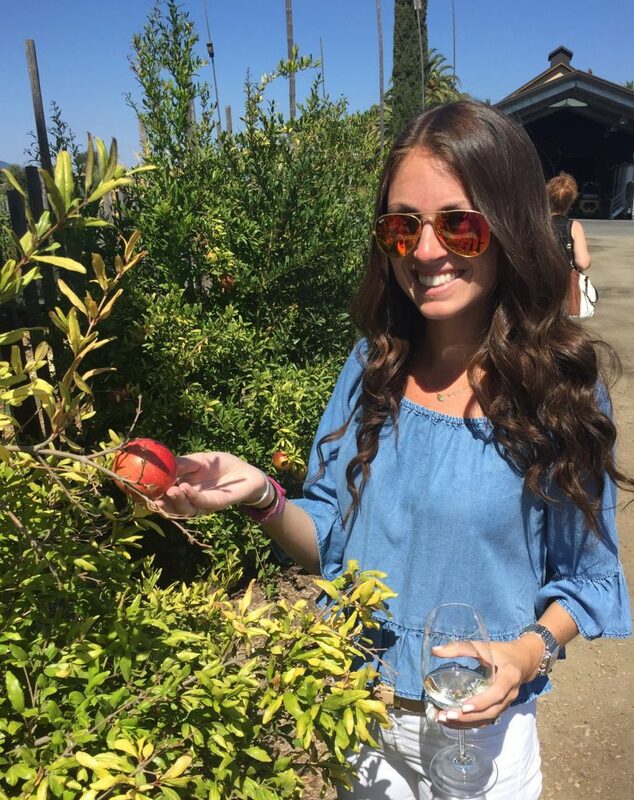 One of our favorite parts was chatting with the employees at each winery and getting to know their favorite parts of Napa. One of the mornings we woke up at 5:45am and Jord surprised me with a hot air balloon ride during the sunrise. It was absolutely spectacular. 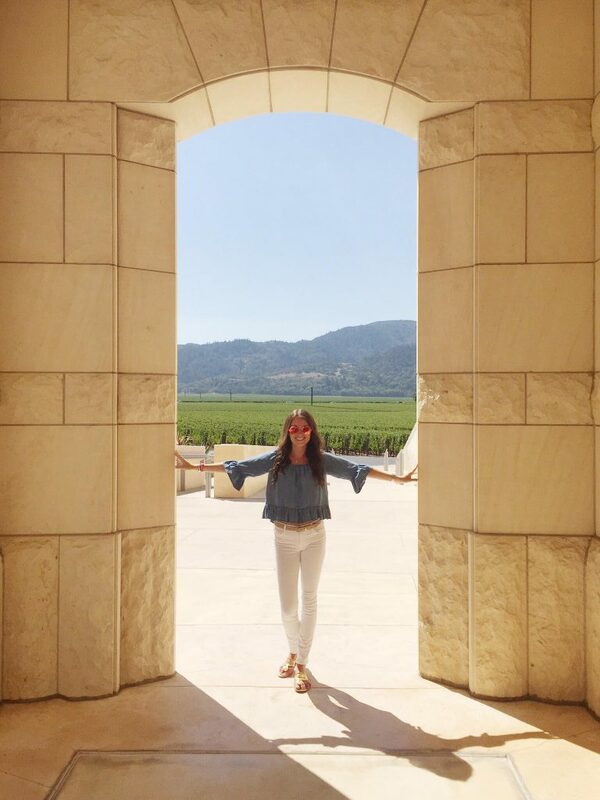 We got so many amazing pictures and the views of Napa were so amazing, it was such a perfect way to see the area. Now I of course had to squeeze in a couple of work outs to balance out the endless wine, martinis and treats. I took a barre class (always my favorite) at The Dailey Method. The owner Kelli was so sweet and even taught the class I was in. The studio was so friendly and the class was such a perfect treat to take on our trip. I love going to barre classes everywhere and seeing each studio’s own unique style and flavor they offer. Kelli really paid attention to each of us in the class and that is always well appreciated. Anyone who is in the Napa area must try The Dailey Method. My other work out was at Studio Phyzz. There were only two of us in their barre fusion class and it was 45 minutes with a mix of toning, weights and stretching. Our instructor, Melanie, was so energetic and really wanted to make sure the class was working for our bodies and we were enjoying everything. The studio was so casual and laid back making the work out a great experience before heading to the airport. Studio Phyzz offers a variety of classes too so even if you don’t barre and are in Napa, definitely check out their schedule. 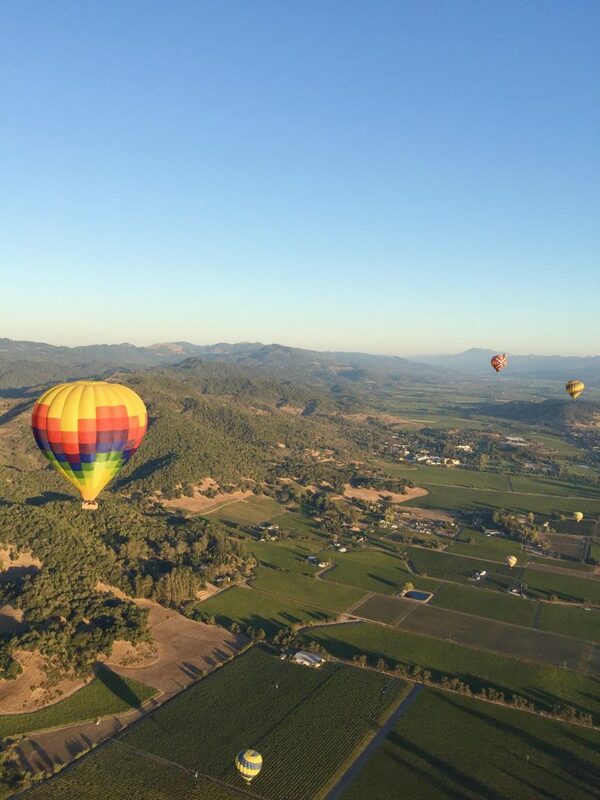 Have any of you traveled to Napa before? Eat or drink at any of the same places? If you ever go out there I can absolutely send you some recommendations! PS your hair looks so gorgeous.